This wonderful group of Artists, share a Journal Prompt each Saturday, which gives you a technique as well as a journal prompt. I then took a Dylusions Stencil and sprayed over in Bubblegum Pink (If you look closely, you can see the floral pattern underneath. I then used some Gesso To create some resist here and there and to tone it down a bit, I wiped on some vintage photo distress stain to tone down the brightness of the page. I tore some shapes from some old book paper that I had laying around. 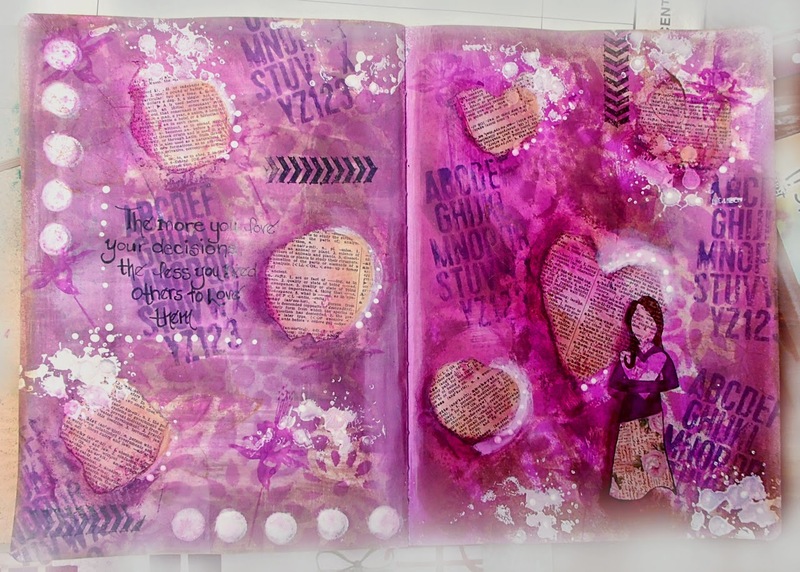 I then took Some Magicals and painted around the papers to bring some shadow and depth. 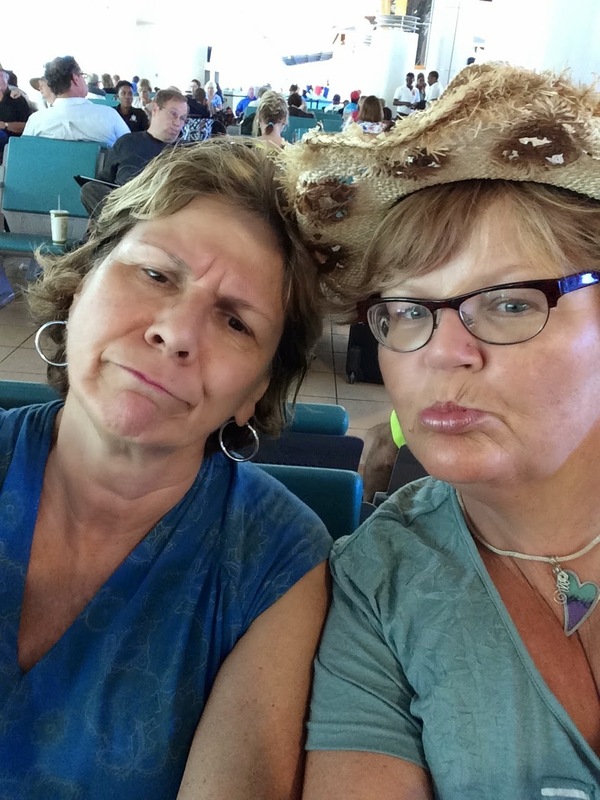 I just spent a wonderful week in Jamaica with my Mom and Good Friends Diana and Mary! Thought I'd post a few pics to highlight our Vakay! Being on the Water makes me very Happy! You'd never know that we were but minutes away from a torrential downpour. I was a little concerned that we'd end up as castaways, but our captain Ricardo brought us safely back to shore! 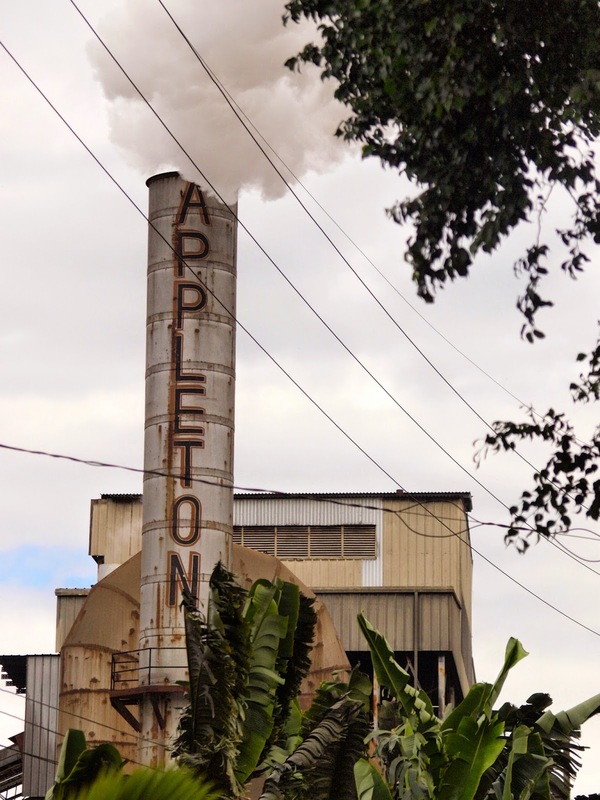 We had a fabulous tour of the Appleton Rum Factory! 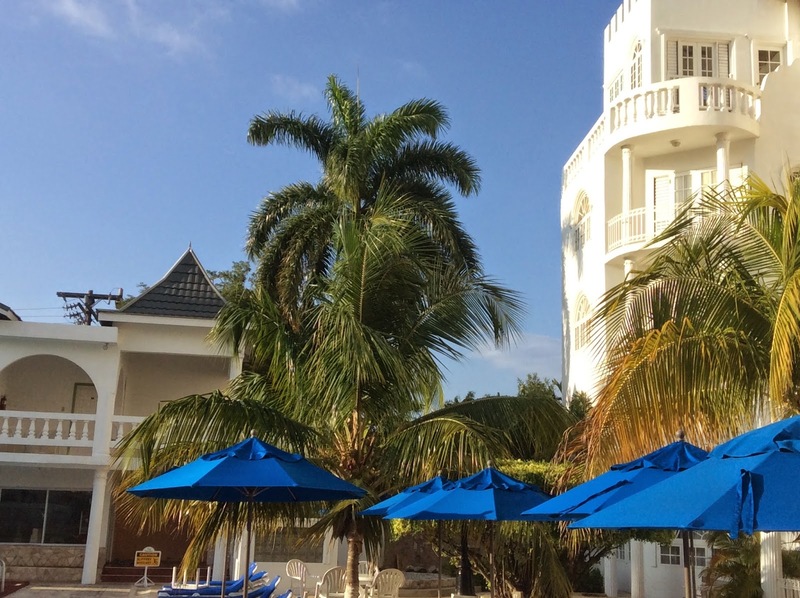 Wastin' away at MargaritaVille Negril Beach! Swimming in the natural pools at Y&S Falls.....so breathtaking! The water was remarkable refreshing! A gorgeous sunset enjoyed at Three Dives on the cliffs past Negril Beach. Bird Talk! 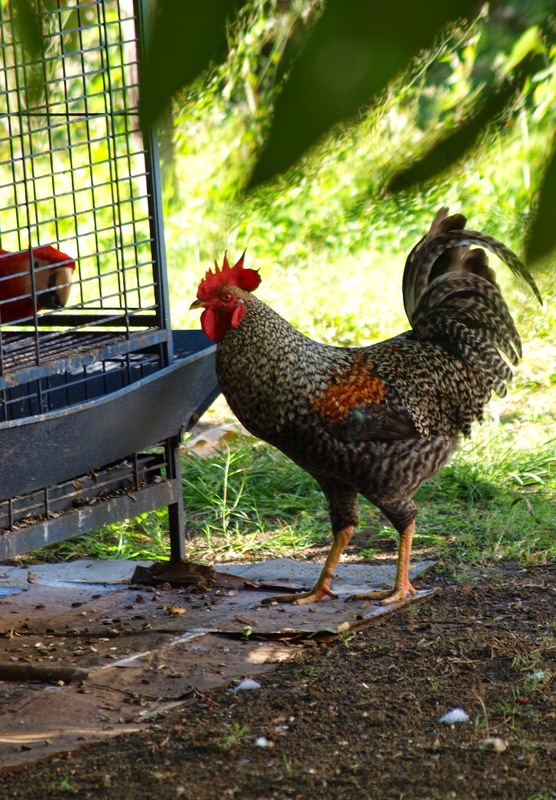 I finally discovered where the early morning song was coming from! The Girls with our Beautiful Tour Guide Lenore! She was sweet and Sassy and gave us a great feel for Jamaica! We had a visit with our friends Stephanie and Pat! Enjoyed their little piece of Heaven! I offered to come and work for them! Their place is peaceful, serene and beautiful! Steph was happy to see Mom as she gave her a haircut! They toured us around the island and showed us some remarkeable views from the hills and then treated us to the most succulent Jerk Pork at Scotchies! 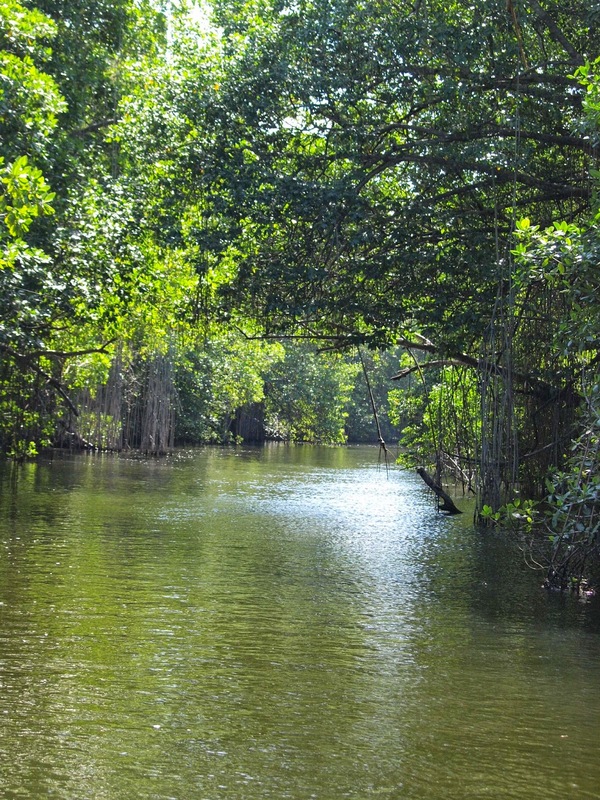 This is one of the beauties we encountered on our tour of the mangroves on the Black River! A view from the pool! But I much preferred our intimate but beautiful Beach! Sadly, all good things must come to an end!!! Holy Mackeral! I can't believe it's been so long since I posted! I guess I better be doing something about that!!!! for my card, I used several fun stamps! 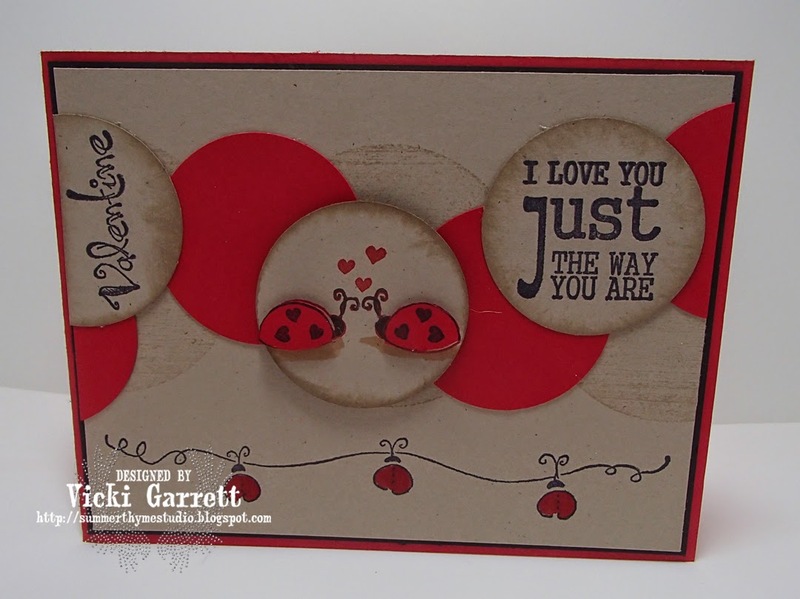 Be sure to head on over to the IO stamps Blog to get all the details for the challenge and to enter your submission. Follow the links on my sidebar to see the great DT creations!